Given below is the picture of the Kashmiri Masala my grand ma bought for me from Kashmir. It is a red colored paste which also has some oil . I know it is not easy of many of you to get this ready made paste, therefore, try making an alternative which is also quite good. To make the paste at home, mix all the ingredients given above under the alternative masala and grind it into a fine paste. Marinate the chicken with chilli powder, turmeric, coriander powder and ginger garlic paste and keep it aside for 20-30 mins. Heat oil in a pan and keep it over a medium flame. Add the chopped onions and and fry till they are golden brown. Keep stirring it so that it does not get burnt. Always keep the flame on low. Add the Kashmiri Masala paste or the home made paste and cook for 2-3 mins. 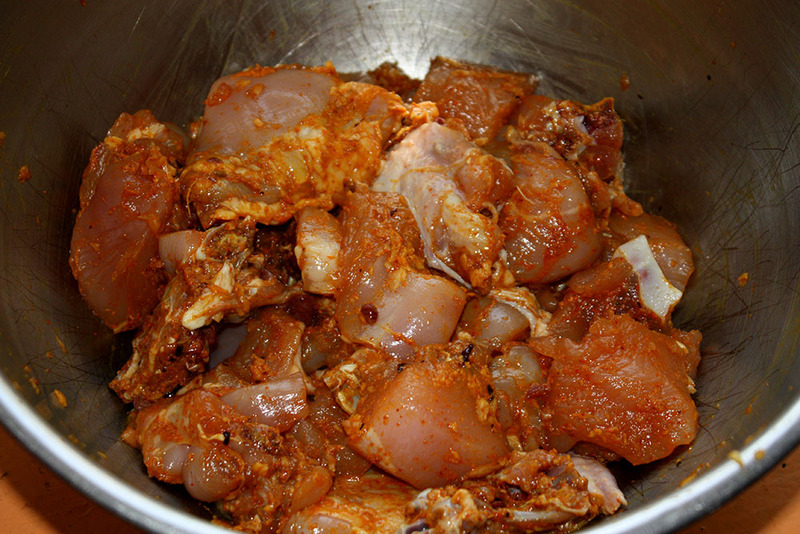 Add the marinated chicken pieces into the pan and mix well so that each pieces is nicely coated. Then add the turmeric powder, coriander and cumin powder, garam masala and salt and mix well again. 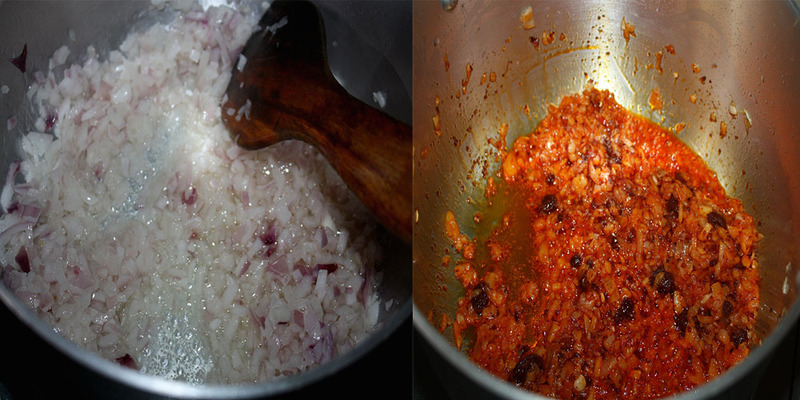 Add the grated tomatoes and keep cooking it over a low flame so that the spices are nicely cooked. Cook it for 15 mins till all the oil starts separating and the gravy is dry. Add half the coriander leaves and mix well. 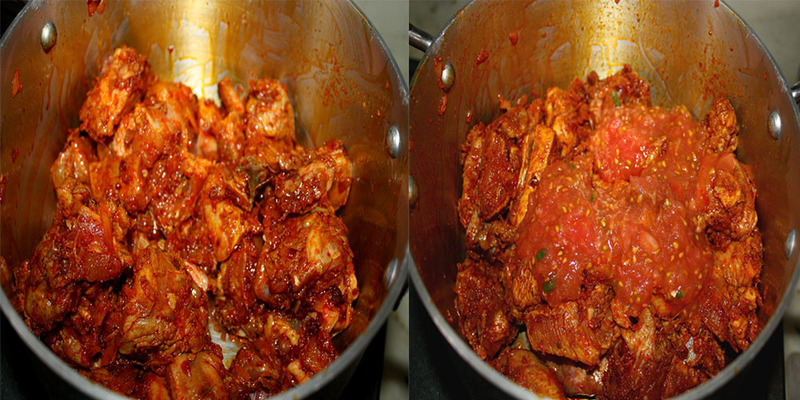 Add 1 cup of hot water to the chicken, cover the pot and cook for another 15 mins till the chicken meat become tender. 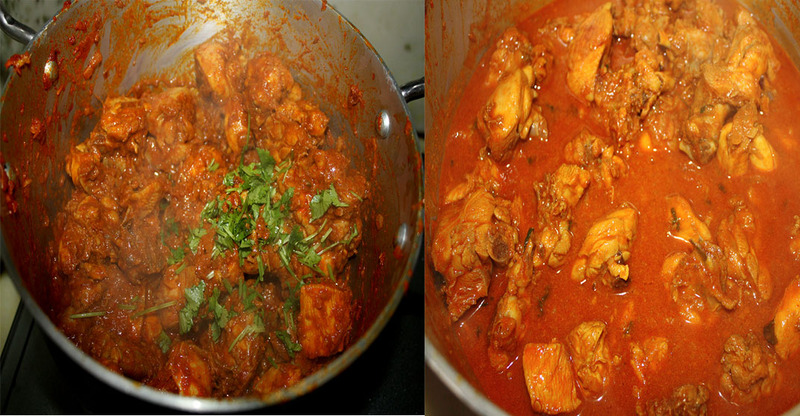 Garnish with chopped cilantro./coriander leaves and serve hot with rice or rotis !! 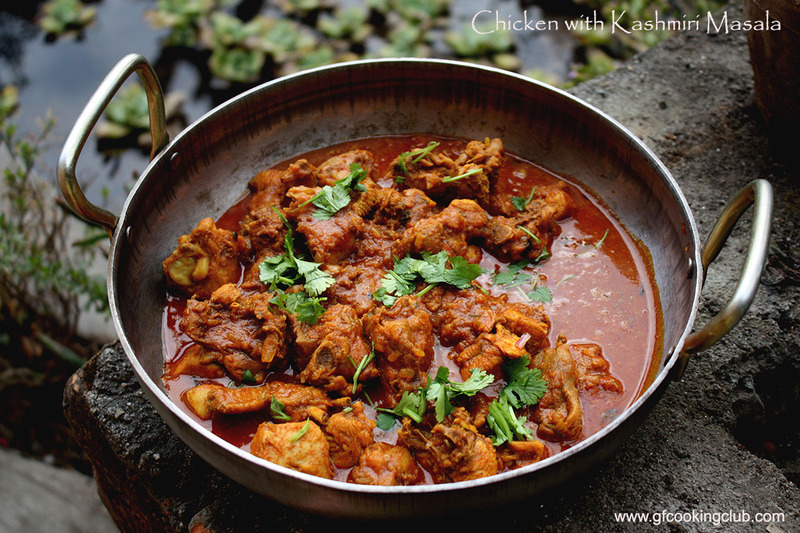 This entry was posted in All Recipes, Chicken, Grand Ma's Recipes and tagged Chicken Curry, Chicken with Kashmiri Masala by Kamakshi. Bookmark the permalink. I have this masala and I didn’t know what to do with it. Now am gonna make this for sure. It sounds fantastic. 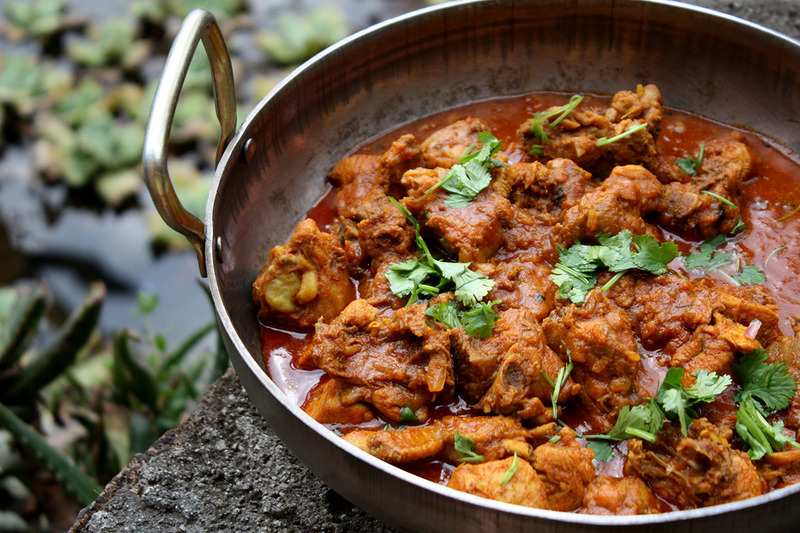 I love making curries and discovering new spice pastes and recipes for them.